Jack had a busy March. 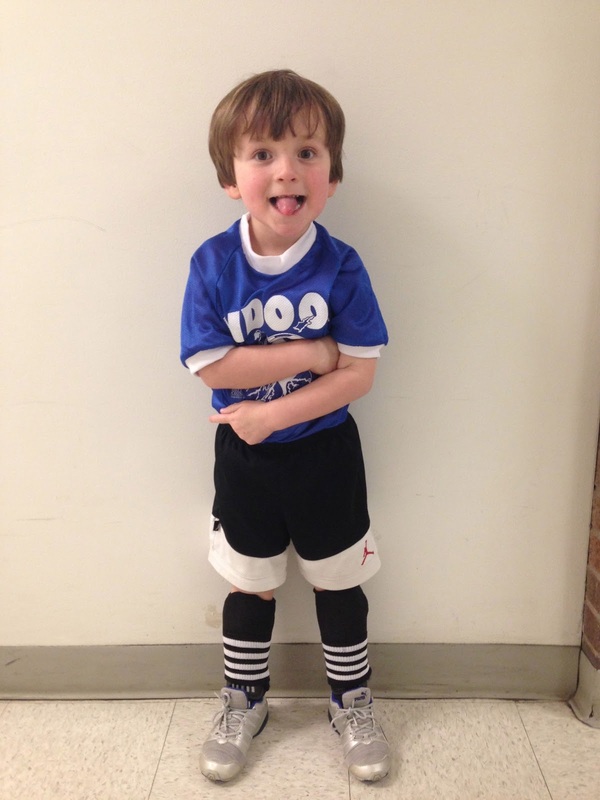 With preschool, swimming lessons, and indoor soccer my life seemed to rotate around this little guy. I don't mind though, Jack loves staying involved so I'm just accepting my new part time role as chauffeur to my kids! 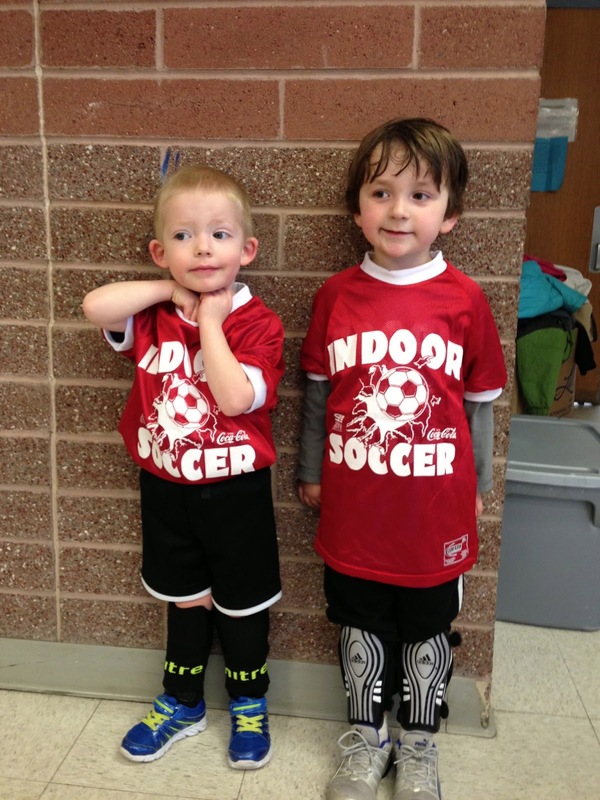 Jack actually got to do both swimming and soccer with his buddy Zander! which was ok, since they were so stinkin' adorable out there being clueless! Jack did score his first goal of his soccer career. 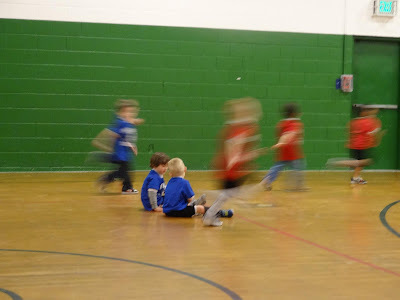 And I think it was because Grandma Sperry came to watch and so he felt pressured to show off his skills! Haha! On the other hand, Jack and Zander did great in swimming! They both passed and get to go onto the next level! We've had a nice little spring break, swim and tee-ball both start up this week!